Roasted AlmondReally nice not overpoweringly nutty like I was expecting them to be. Oats & HoneyNice crunchy with a delicious oaty taste. With real honey in to sweeten it nicely. Canadian Maple SyrupNice oaty flavour again but this time topped off with maple syrup flavour. Mixed BerryOpening the packet they have a really nice fruity smell. The bar is soft and easy to pull bits off. The main taste is the berries. Soft and easy to chew. Not overly sweet like some snacks. Filled with mixed berry pieces, roasted nuts, honey and whole grain oats. Fruit and nutJust like the mixed berry this one is soft, chewy and easily breakable. Opening the packet releases a deliciously nutty aroma. I preferred the berry one but that is just down to personal taste. They are full of almonds, peanuts, honey, raisins, sunflower seeds and oats. Oats and berryNice crunchy bars with real chewy fruit pieces in. These smell fantastic and are good and satisfying to munch on. And you get the real feeling that they are much better for you than chocolate bars! 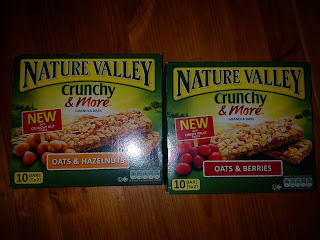 Oats and hazelnutsVery much like the regular crunchy Nature Valley bars. The big difference is the size of the nutty pieces which are much chunkier rather than the smaller bits. Also just when you think your snack time is over there is a whole second bar in the packet. In my pack, I was also sent some gardening gloves which was fantastic as I do a lot of grow your own (vegetables and fruit). I also received some "ready to plant" seeds, a USB stick and a lovely bag for them all too. 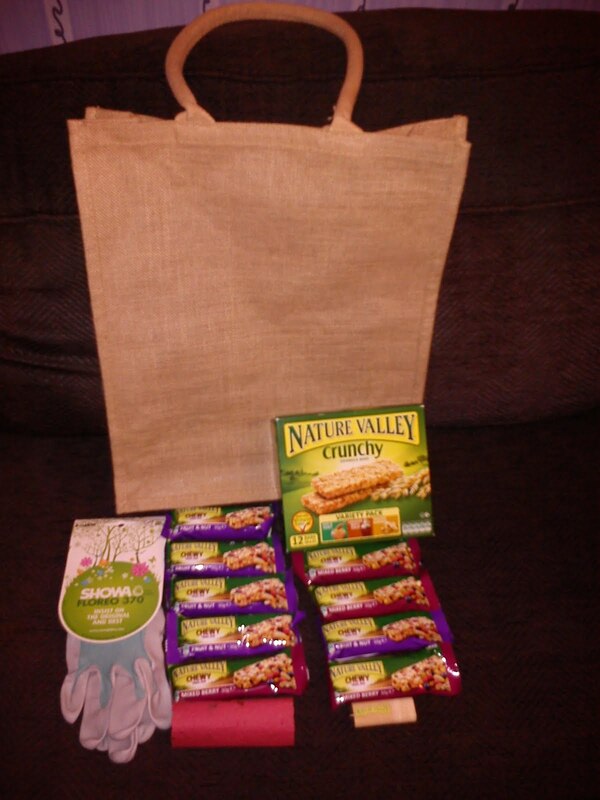 If you would like to know more about Nature Valley products, you can visit their website at www.naturevalley.co.uk. COMPETITION ENDS ON 20TH JUNE 2011 AND IS OPEN TO UK RESIDENTS ONLY. i already follow your blog, i would like the Canadian Maple Syrup ones, they sound tasty! And I would love to try the new chewy berry bars! canadian maple syrup sound divine !! 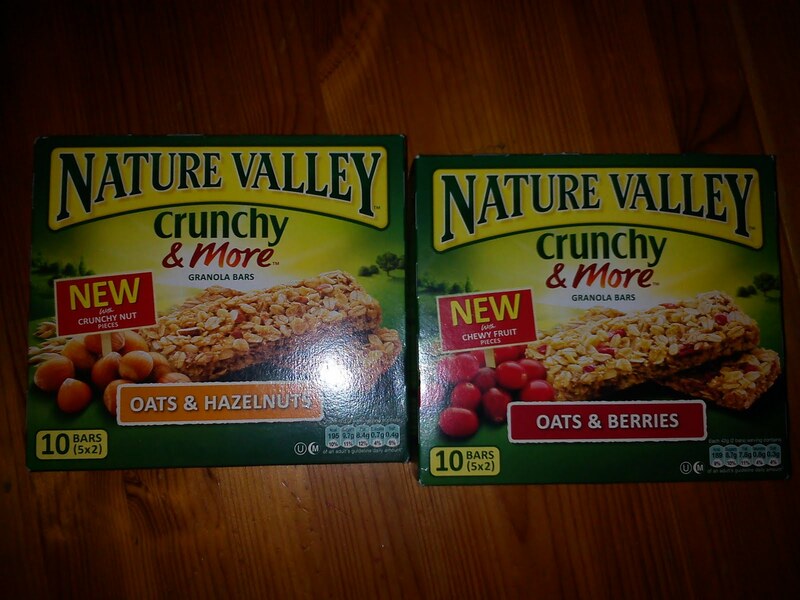 I buy Nature Valley bars quite regularly, I would really like to try the 'Crunchy and More' bars. 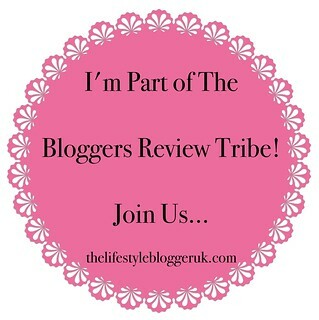 I'm following your blog on Facebook. I'm Alison Ducky (Sperry). I'm following you on Twitter @googoodoll83. I'm following your other blog. I'm following on Facebook as Lisa Day.Mixed Berry sounds lovely.I've never tried nature valley before. I would like to try Roasted Almond granola bar - sounds delicious. I would like to try the Roasted Almonds Granola bar, I had a sample of the new Oats & Hazlenuts last week and it was delicious. I'd love to try the Crunchy & More variety just because I love the others but i've never even heard of these so I'm keen to give them a go! I have commented on WeightWatchers Biscuits! The bar I would most like to try is The Nature Valley Chewy Trail Mix Mixed Berry bar. Never tried them before, don't know why, but I promise to give them a go next time I see them on sale. I haven't tried nature valley so I'd go for a variety pack so I could try them all! Would love to try the Oats and Hazelnuts ones.